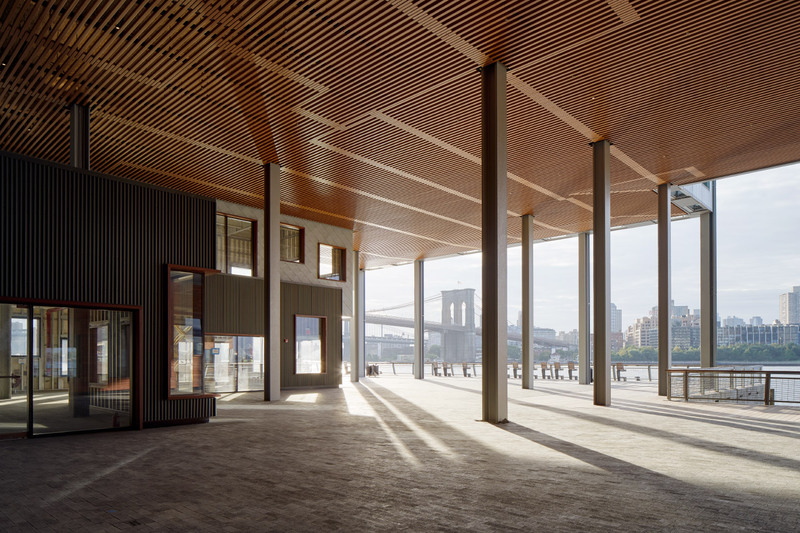 As SHoP Architects and the Howard Hughes Corporation continue to put the finishing touches on Pier 17, AN took a behind-the-scenes look at the Manhattan seaport’s reinterpretation of the big-box mall and the massive rooftop gathering space above. 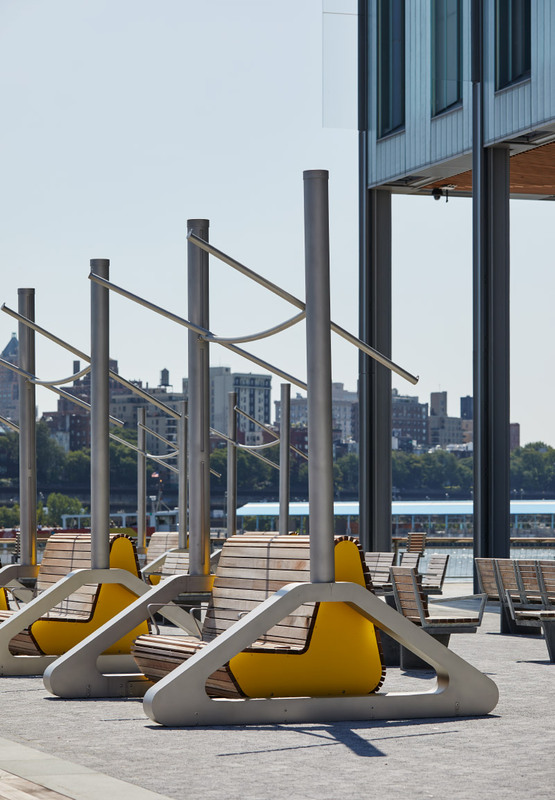 The 300,000-square-foot mall and public space has been under construction since 2013 and has undergone several design tweaks since its original presentation before the Landmarks Preservation Commission (LPC). 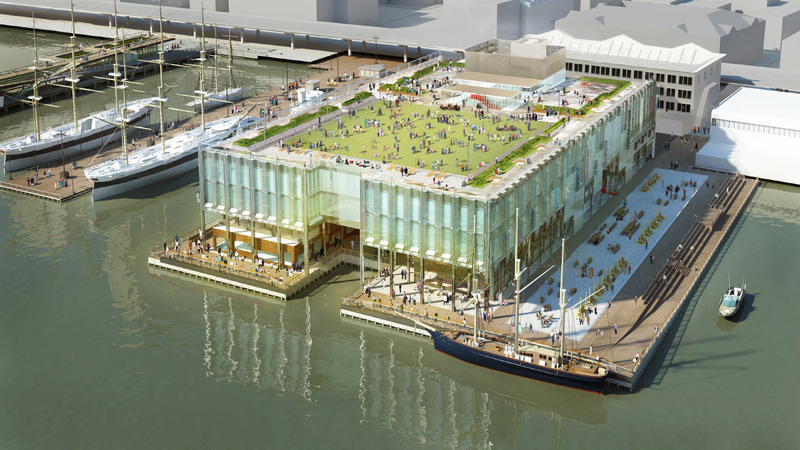 The proposed glass pergola on the roof has been cut, as has the lawn shown in earlier renderings. 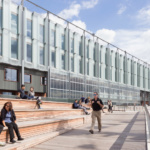 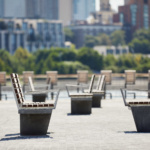 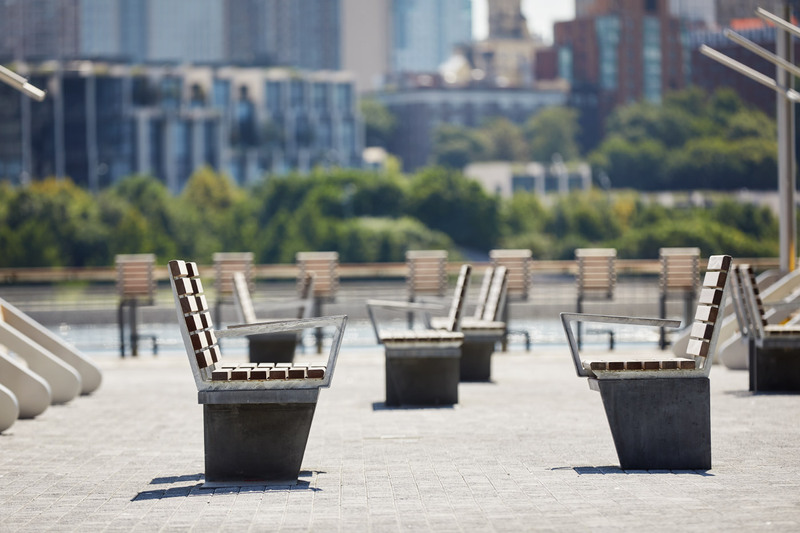 The roof is now covered in pavers and designed for flexibility; the planters are modular and can be moved to accommodate larger crowds, and a freight elevator allows food trucks onto the roof directly from the adjacent FDR parkway. 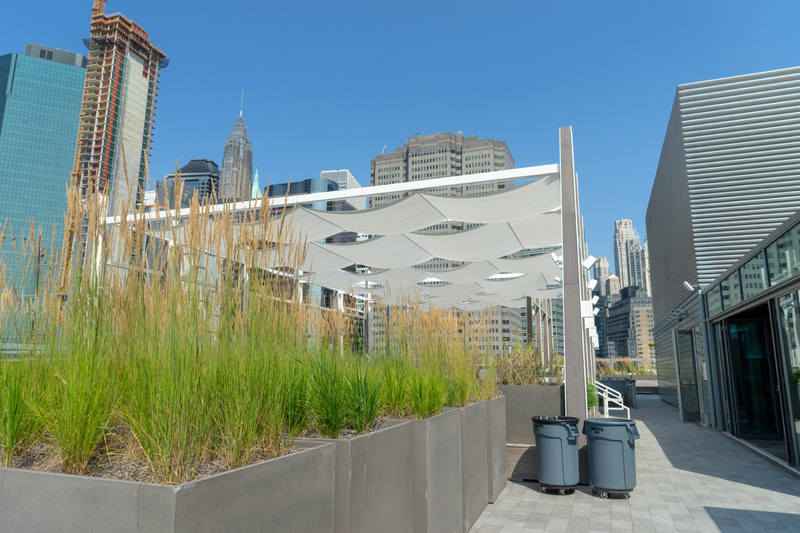 According to Howard Hughes, the roof can accommodate up to 3,400 (standing) guests. 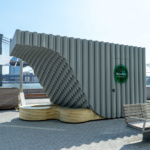 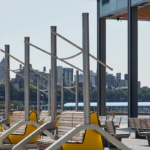 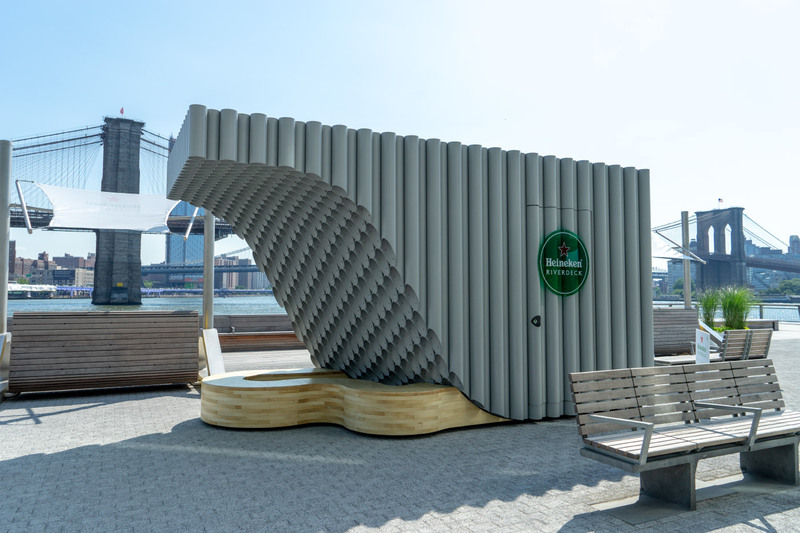 SHoP took suggestions from the LPC and surrounding community into account when linking Pier 17 with the surrounding waterfront and in their decision to wrap the East River Esplanade around the building. 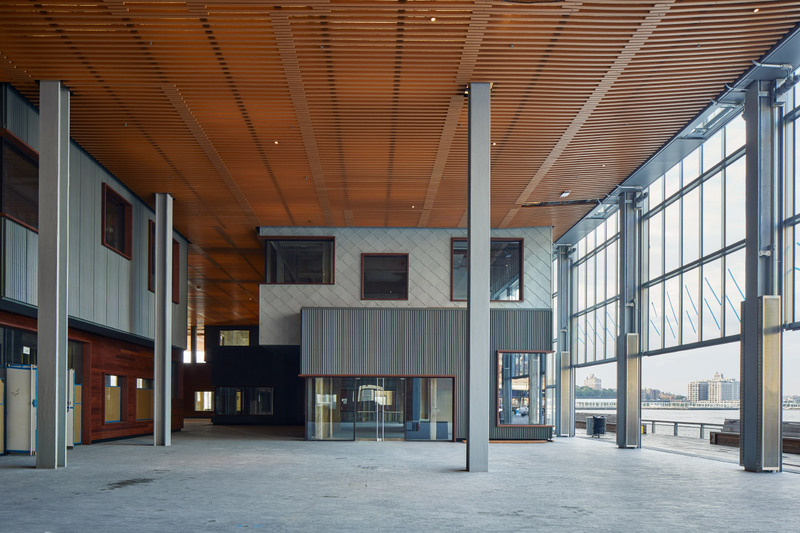 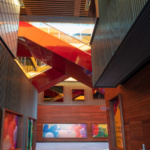 The Esplanade extends into the interior of the first floor, as the building’s base is wrapped in double-height glass doors that can be fully raised if weather permits. 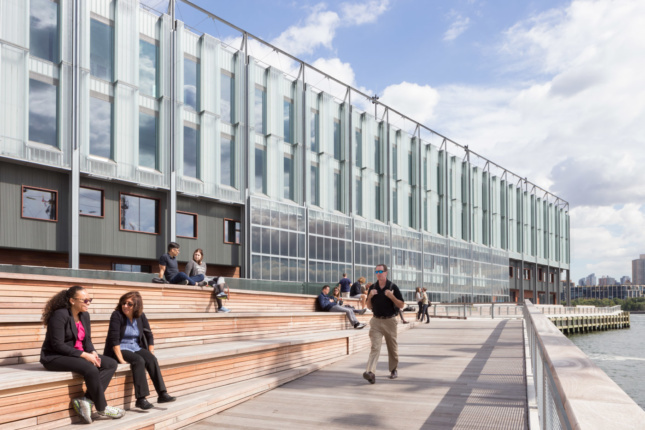 The restaurant and retail sections have been reimagined as two-story ‘buildings’, separate from but still attached to the main structure and aligned on a grid that preserves views of the Brooklyn Bridge and surrounding skyline. 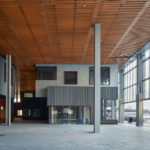 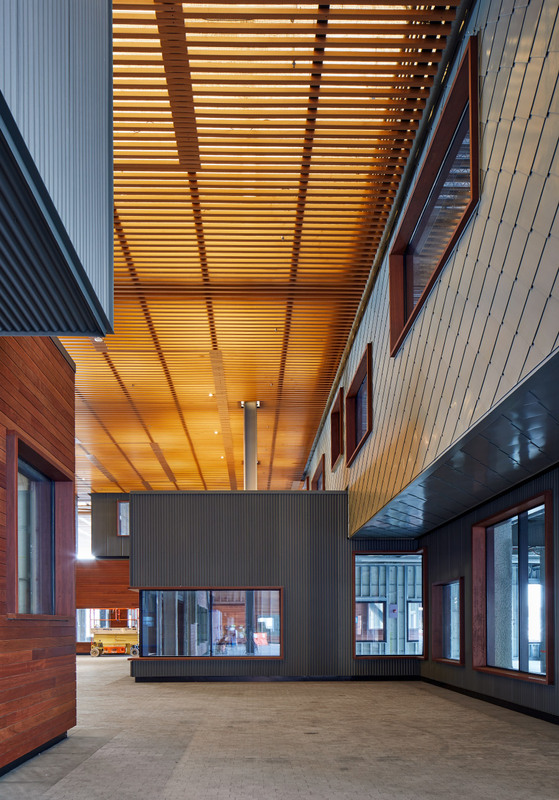 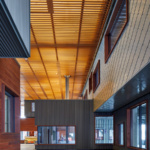 SHoP has clad each building-within-a-building in materials that correspond to the area’s nautical heritage, including sustainably harvested tropical hardwood, corrugated zinc sheets, and overlapping zinc tiles. 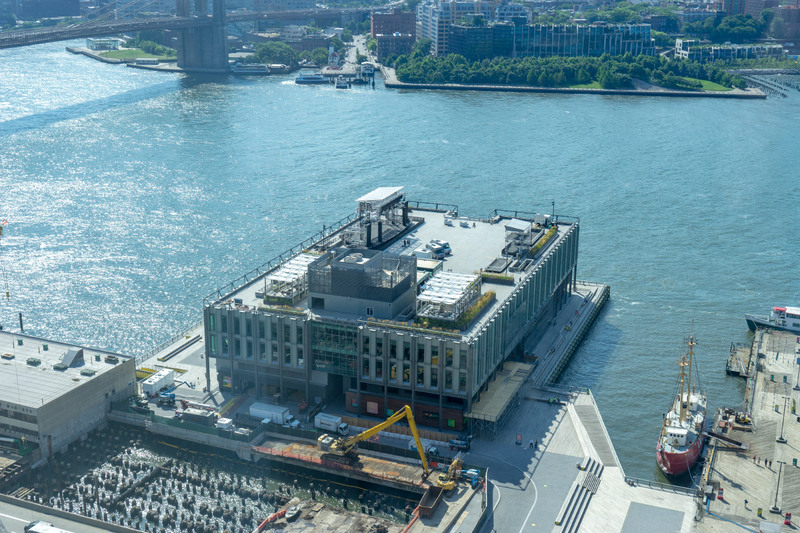 Howard Hughes has already locked down several big-name anchor tenants for Pier 17, including a two-floor restaurant from David Chang and upper-floor office space and a green room for ESPN. 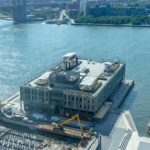 The top half of Pier 17 has been clad in vertical panes of foggy green-gray channel glass, which rises and falls as it wraps around, in reference to the passing East River below. 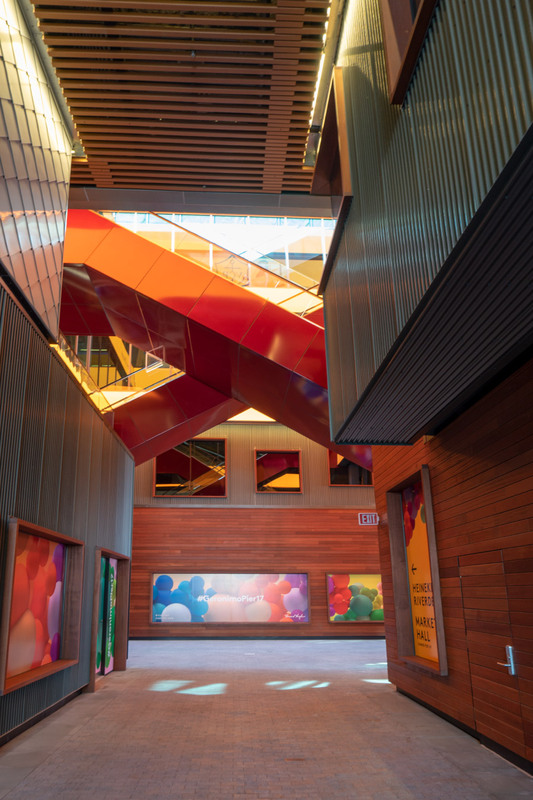 Some of the crazier renderings have shown the building’s upper floors lit up in technicolor at night, and internet-connected color-changing lights have been embedded in the facade. 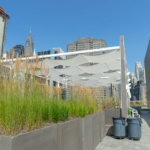 The public can experience Pier 17’s rooftop when it opens to the public on July 28, complete with an accompanying concert series.